Update Feb. 2, 2013: This Java package is obsoleted; please checkout the latest code here. 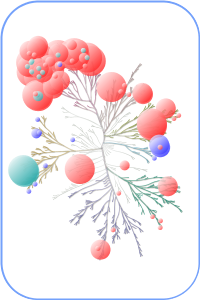 Recently, we received a request to be able to access to the human kinome dendrogram programmatically. We thought this might also be useful for others with similar needs. Here is the kinome dendrogram as a self-contained Java package kinome.jar. The only requirement is Java 1.5 or above. This sample program provides the basic usage of the component. To compile it, simply type: javac -cp kinome.jar:. KinomeTest.java And to run it java -cp kinome.jar:. KinomeTest Here is a sample image generated by the program. As always, we welcome comments and feedback.